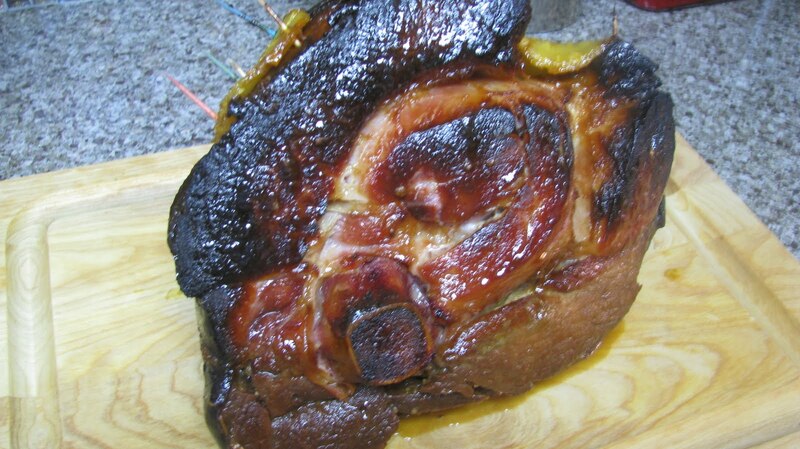 Baked Ham is a holiday treat, but in our family we eat it year round. This recipe is my sister-in-law Donna's specialty. Add water to corn starch, NOT corn starch to water. It makes a difference. Whisking helps also, you don’t want lumps. When you carve a ham, you should carve the meat so your knife is perpendicular to the bone. An electric knife works well for this project.